Start is an intervention that is both abstract and figurative, which favours the imagination of passers-by, in the context of the Christmas season. It is an ephemeral lighting installation that grows from references of Modern Art in public space and that is built on the scale of the city, provoking visual interaction with the surrounding historical buildings, providing new urban visual frames. 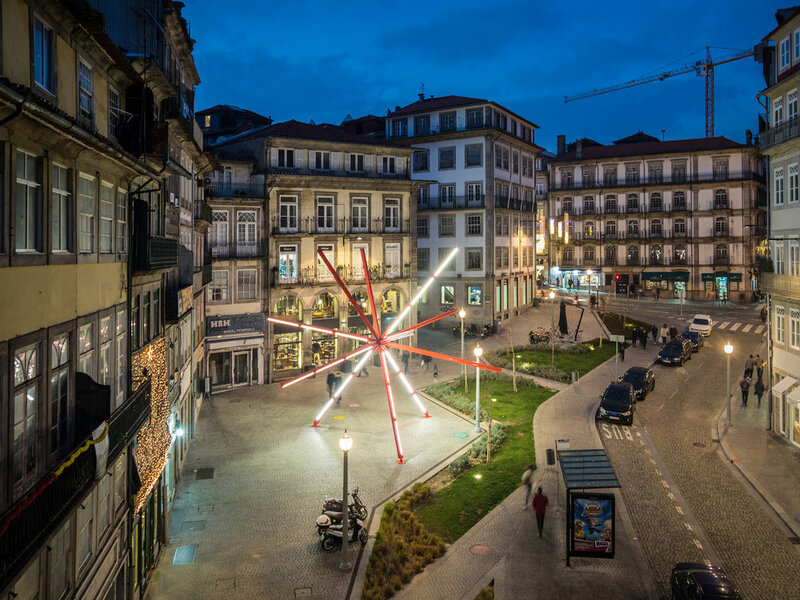 At the same time, it assumes an ethereal and subtle presence on the square that, by evoking lightness and representativeness, intends to place the Largo dos Lóios in the traditional route of the Christmas illuminations in Porto. 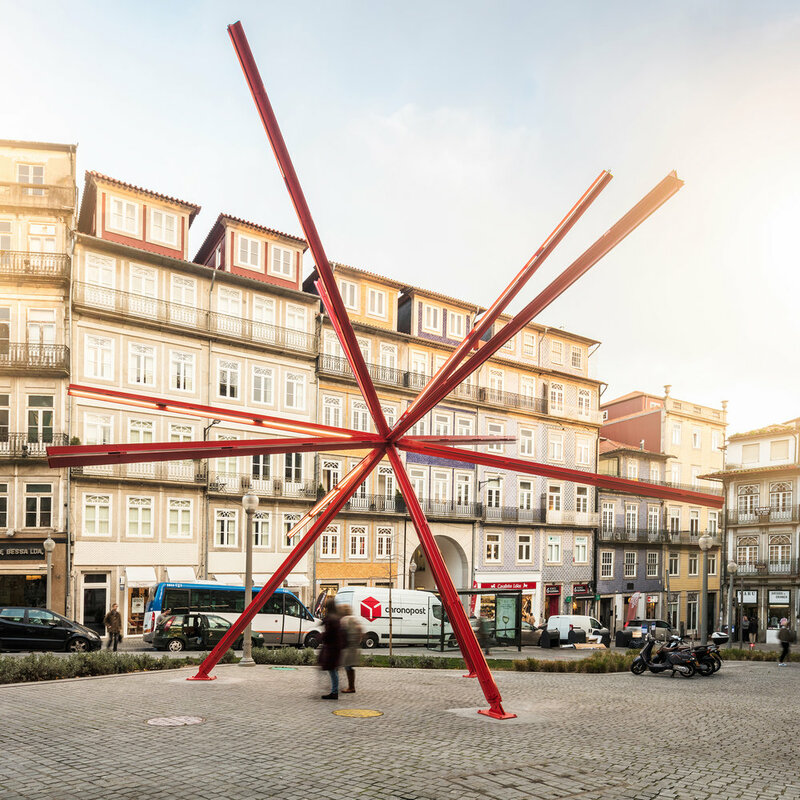 With a strong geometric base, the installation is constructed from the subdivision of an icosahedron, in twenty equal parts, assuming a modular principle ruled by standard metal profiles with six meters in length. The architectural detail, inspired by the cruciform pillar of the Mies Pavilion in Barcelona, fights the predictable deformation due to deflection and also seeks the dematerialization of the arms in intersecting edges and planes, contributing to the creation of a frozen fractal landscape.